We use special emulators that support tools such as savestates and frame advance, and generate movie files from them. These movie files are nothing more than a recording of input. They do not contain images or video. All movie format specifications can be found here. Disclaimer: The majority of rerecording emulators are third-party modifications of existing open-source emulators. In most cases, only these rerecording emulators can play and make TASes, and not the official emulator. We do not by any means claim that using any of these emulators will guarantee "correct" results. There may be bugs in these emulators which have gone unnoticed due to lack of testing. You should read DesyncHelpTAS before making any serious projects. All movies are highly dependent on timing and the slightest difference may cause a desync. We cannot help you if you lose work due to desync problems. You must also read the Movie Rules if you plan to submit your work to this site. For a comprehensive list of supported platforms and their emulators, see the Platforms page. Tell us if one of the entries is wrong or if you can resolve one of the "Unknown" ones to a "Yes" or "No". If in doubt, just test it yourself. "Yes": The emulator compiles and runs. Limitations are given via annotations (e.g. "Yes (with Wine)") or footnotes. "No": The emulator does not compile or run at all (even with Wine or Mono). "Unknown": It is neither known whether the emulator compiles nor whether it runs at all. Using: Instructions on how to perform common tasks on different emulators. For more specifications, see each emulator's Source Code Repository. Platform resources: Contains knowledge and notes for TASing various platforms using BizHawk cores. Recent emulator updates: Recent changes to the rerecording emulators. Recent emulator bug reports: Recent bug reports for the rerecording emulators. Desired features: Lists emulator features wished by users and compares the features of different emulators. Development: List information about source code projects, how to compile, and how to contribute to emulator development. Potential emulators: List of ideas for developers. Lists non-approved open source emulators with links and status of their development. TASVideos Requirements: Lists emulator features required by this site. : Mednafen-rr supports all flavors of TurboGrafx/PC-Engine, including CD-ROM, as well as Atari Lynx, Neo Geo Pocket/Color, and WonderSwan/Color. 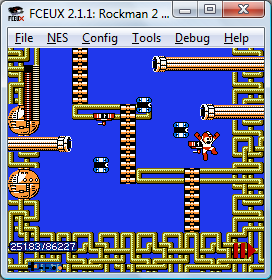 It also supports PC-FX, but only for the Linux version. The older .gz extension is no longer supported. Technically speaking, Hourglass and libTAS are not emulators. They are API translation layers between the game and the operating system. Movies using Snes9x v1.43 are not accepted unless a continuance is granted. Movies using Snes9x v1.51 or newer are accepted but the emulator is deprecated. Working cores for the Mono branch include NES, SMS/GG/SG-1000, TI-83, Atari 2600, Atari 7800, PCE. There's no support for Lua. AVI capture may be dysfunctional. Some tools may not work or look garbled (e.g. Memory viewer) and various (minor or major) bugs may occur. There are native versions, but those don't seem to have rerecording. Alternatively, a Windows virtual machine may be used (though it runs rather slow). Dolphin versions prior to 4.0-3595 are deprecated and will not be accepted in the future.